One of the two new residence halls to be built on the upper quad. 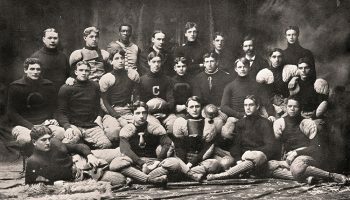 College campuses have long held a special place in the popular imagination. Colgate, in particular, is regularly — and rightly — mentioned as one of America’s most beautiful campuses. Alumni from across the decades say that, when they first arrived at the foot of the hill and stared up at the architecture of the academic quadrangle, they saw a college at its most archetypal. 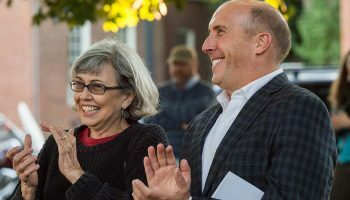 I write today about Colgate’s plan for a series of new buildings, the steps the university is taking to preserve a place in the hearts and minds of alumni and students, and why the administration is acting now. 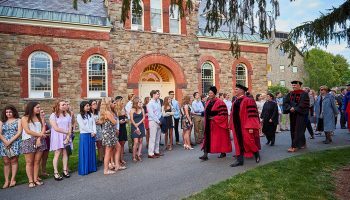 As I noted in my winter column, I have spent the first months of my administration reinforcing the four fundamentals of an institution like Colgate: the academic enterprise, admission, campus life, and the campus itself. Colgate’s iconic buildings touch each one. The liberal arts experience requires facilities that support modern research and teaching techniques. These facilities ensure that Colgate competes favorably with other liberal arts universities in the admission marketplace. They provide the backdrop for vibrant student life. They remind students and faculty that they are in a special place, set apart for intellectual inquiry and engagement. With this in mind, the university has spent considerable time and resources assessing its campus footprint. In response to that review, millions of dollars have already been invested in renovating teaching buildings like Alumni, Lawrence, Lathrop, and Wynn halls for functionality, safety, and access. We have also refurbished existing residences, including Andrews, Stillman, and Curtis-Drake. 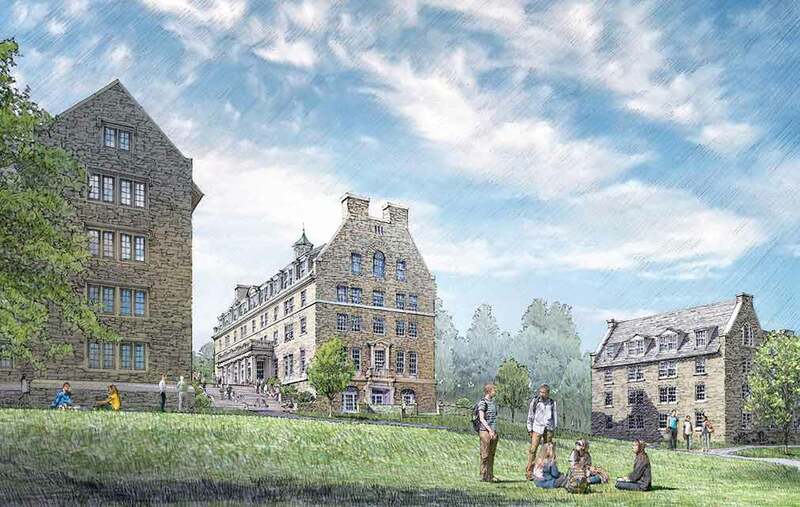 Colgate’s new residence halls will be the first added to the upper quad since the 1920s. They will allow all first- and second-year students to live on the hill, where they can become acclimated to the flow of campus life. The external design mirrors architectural themes found on East and West halls. Inside, classrooms, study areas, and social spaces will be located under the same roof with sleeping spaces; Colgate is embracing and evolving its hallmark residential liberal arts program for new generations. Expenditures on renovations and new construction have been strategically made to safeguard the institution’s fiscal health. We have also taken great care to ensure that Benton Hall and the new residence halls blend with Colgate’s built and natural environments. Architects, administrators, and trustees have examined every exterior arch and stone, each interior design, knowing that these are permanent additions to a beloved landscape. In his book The Architecture of Happiness, essayist Alain de Botton noted that “belief in the significance of architecture is premised on the notion that we are, for better or for worse, different people in different places — and on the conviction that it is architecture’s task to render vivid to us who we might ideally be.” One new building, let alone a series, requires an act of faith and a respect for a university’s needs, its mission, and guiding principles. I have no doubt that historians of higher education will look back on this moment and take note of Colgate’s determination, at this time, to consider what it can ideally be, and to create spaces to contain those dreams. For nearly two centuries, this university has thrived on this hill. It is our task to make sure that we continue to do so, beautifully.